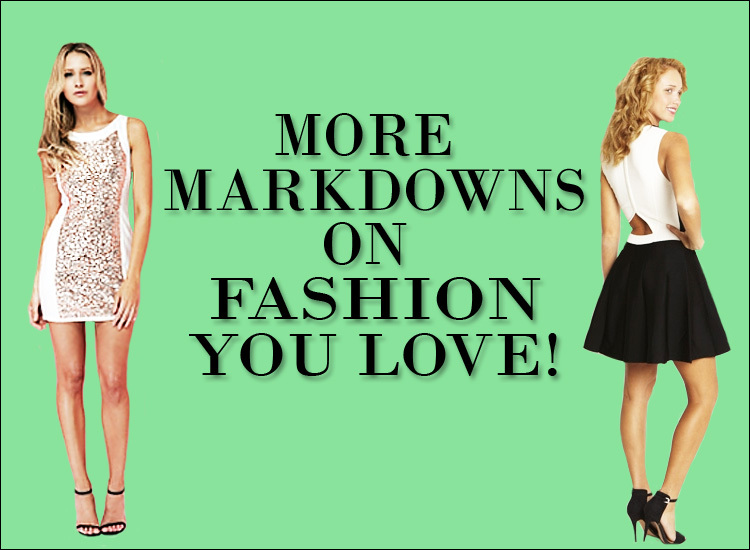 More Markdowns on Fashion You Love! More markdowns on fashion you love! We've just marked down a ton of on-trend designer styles, so don't miss out! Shop our sale page, and be sure to take advantage of our promotion as well - take an additional 20% off all sale items when you use coupon code TAKE20!